The graveyard is on northside of village of Rosenallis. 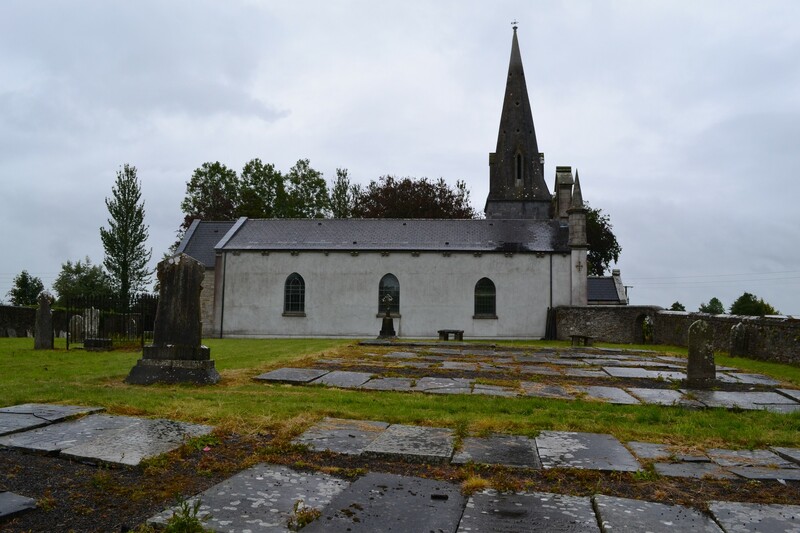 Graveyard contains Church of Ireland church dedicated to St. Brigid, dated 1795, renovated 1830, extended c. 1865, renovated c. 1980. Marked on 1841 OS map as 'Church and Grave Yard' and on 1913 OS map as 'St Mary's Church and Grave Yard'. Possibly the site of a medieval church. No visible surface trace of possible earlier church. Graveyard contains rows of flat on the ground grave markers; three were railed off; mostly in good condition. Graveyard has rectangular shape measuring 35m north-south by 67m east-west; boundary stone wall intact. Access via gate. Concrete paths from gate to church, gravel surrounding flat grave stones. Ground surface is mainly even. Graveyard maintained; grass mown regularly.